Lorod fuses menswear influences and art to create a modern American wardrobe. Michael Freels met Lauren Rodriguez at Parsons. “We saw a lot of overlap in our references and interests,” Freels says of the conversations that followed their reunion at a Halloween party, years later. Gradually, their shared aesthetic materialized into Lorod, a womenswear label founded on vintage workwear. “I buy a ton of men’s carpenter pants and overalls from the 1940s,” Rodriguez says. “We like the resilience of these clothes.” Nostalgic silhouettes get a modern treatment in Lorod’s pre-fall collection: Tailored pieces rooted in menswear are updated with playful details (such as front-to-back zippers contouring the body). “We’re interested in recontextualizing vintage Americana,” Freels says, citing works by William Eggleston and Helen Frankenthaler as inspirations. 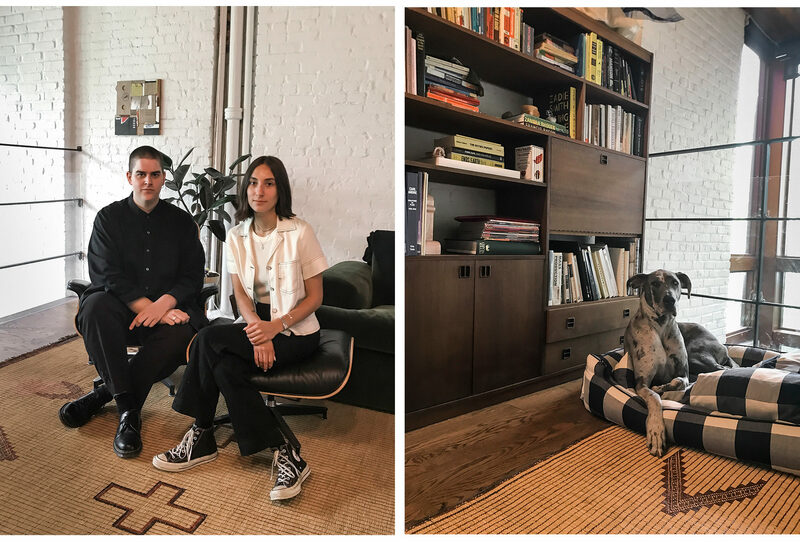 Produced in New York, the clothes are entirely American, a foundation the duo hopes to extend to furniture in the future. Has Tracy J. Fullerton Created the Year’s Most Unexpected Video Game?